← PC-3000 for beginners. How to fix the SA module if we have two damaged copies of it. 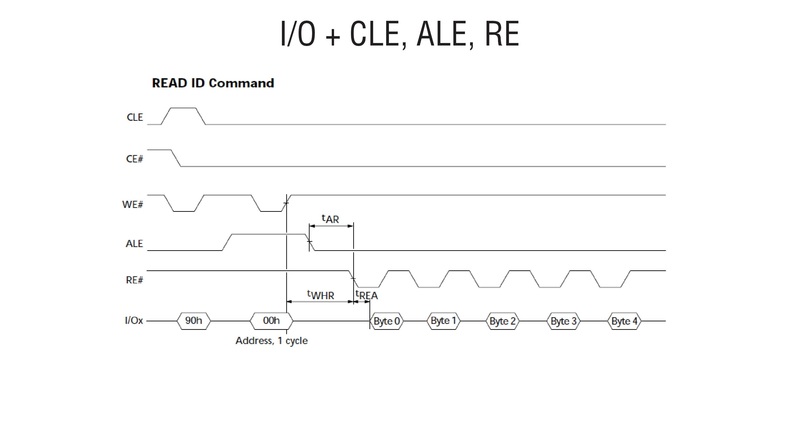 This article was planned as a short guide for monolith pinout research. 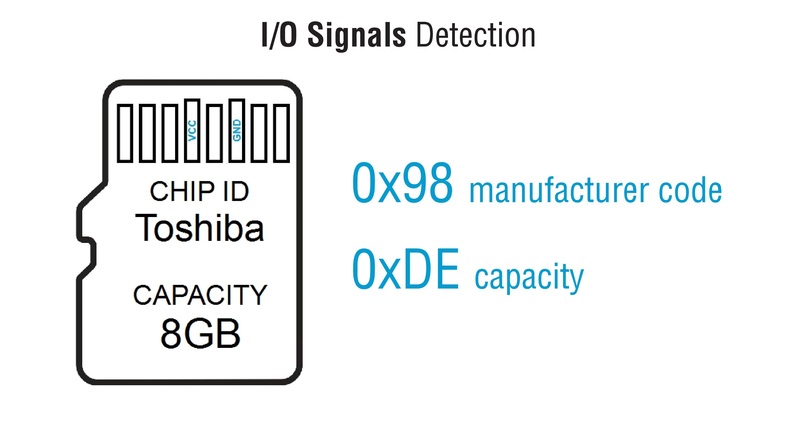 The main idea of this article is not to study step-by-step how to search pinout in all possible cases, but to understand the main principle and main idea of this process which is rather complicated and required a lot of experience. In other words – this article is posted “as it is”. We don’t want to say that current example is the best one, and all tools and hints that we are describing would be the best choiсe in the world. Exist a lot of methodics, and we are going to share only one of them. So, from where should we start? Of course – from equipment preparing! If you don’t have patience – better even not to start this process at all. You will save your time and your nerves. GoodWill GLA-1032 – the same twin-brother to АКИП-9102 with 32 channels, 200MHz Frequency and almost the same interface. 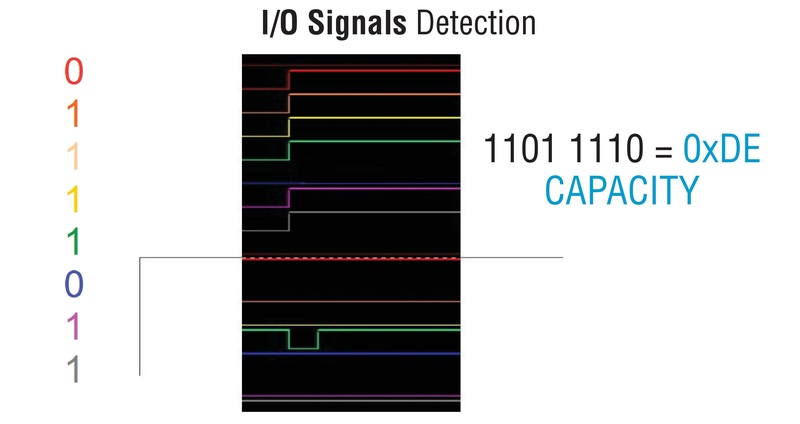 Actually, you can buy any logical analyser that you want. 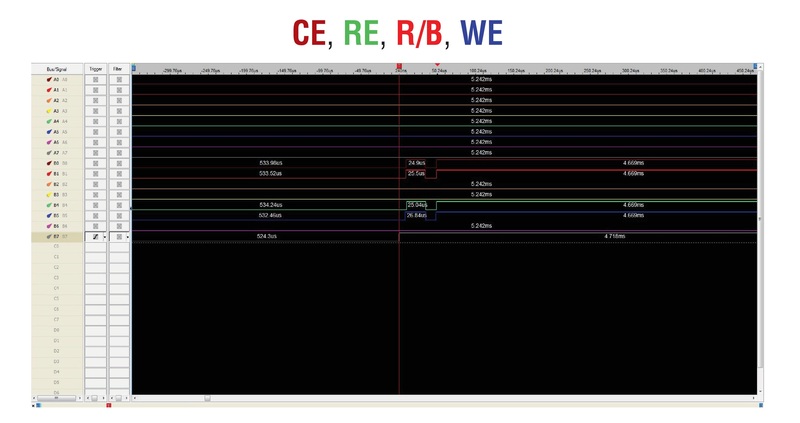 The main terms – it should have at least 32 channels and support 200MHz Frequency. 5. 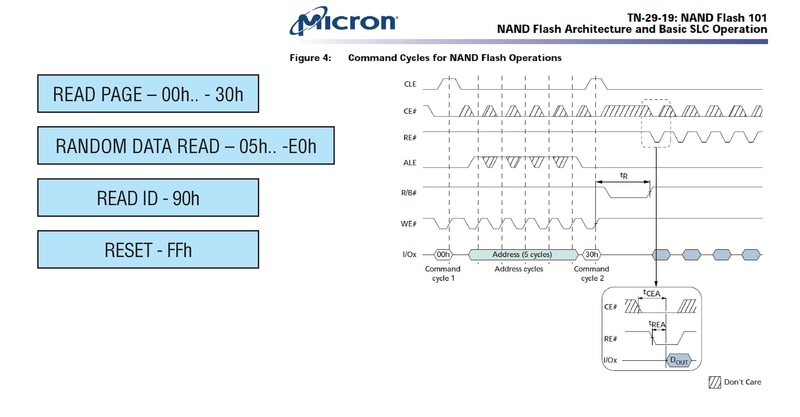 ONFI documentation with description of NAND signals (pretty useful for our task!). 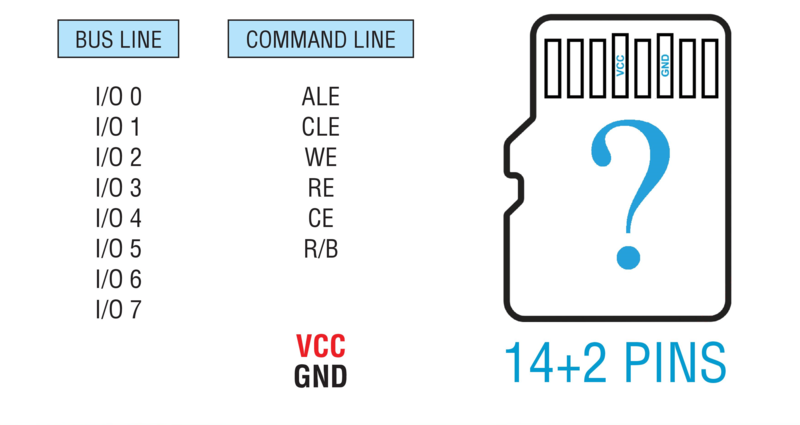 Usually, VCC and GND are not required to be found on technological pins. You can just use a default Monolith interface for providing power supply. 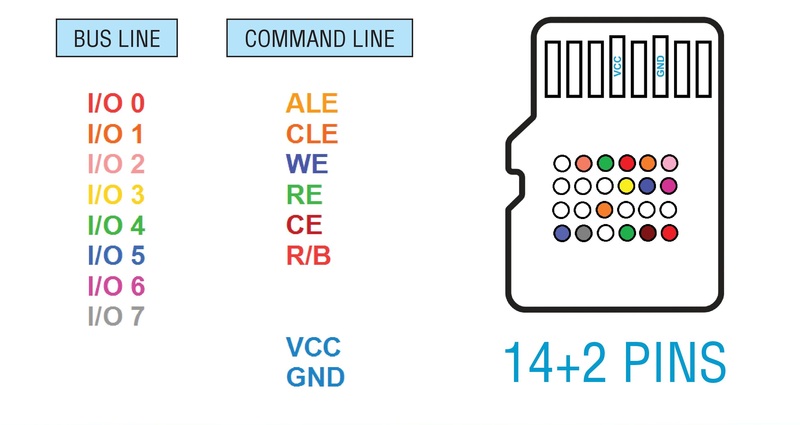 But of course, sometimes GND and VCC pins could be also found on technological pinouts, and we recommend to check all pins and found GND and VCC on pin map too. 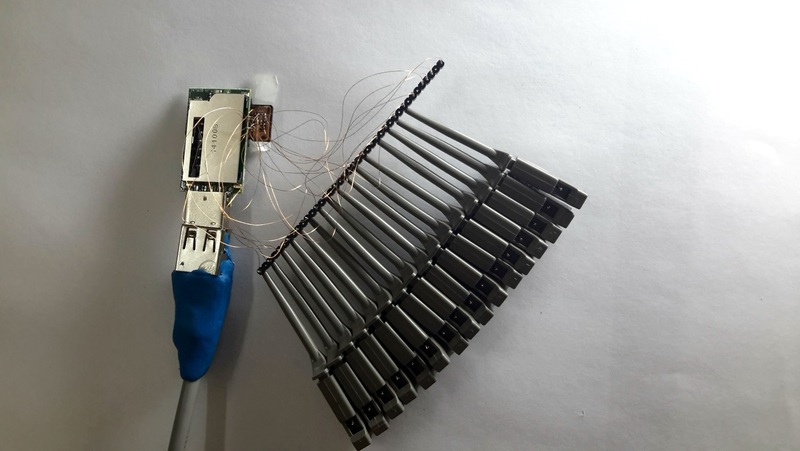 It will help us to detect pins that we should exclude from research. 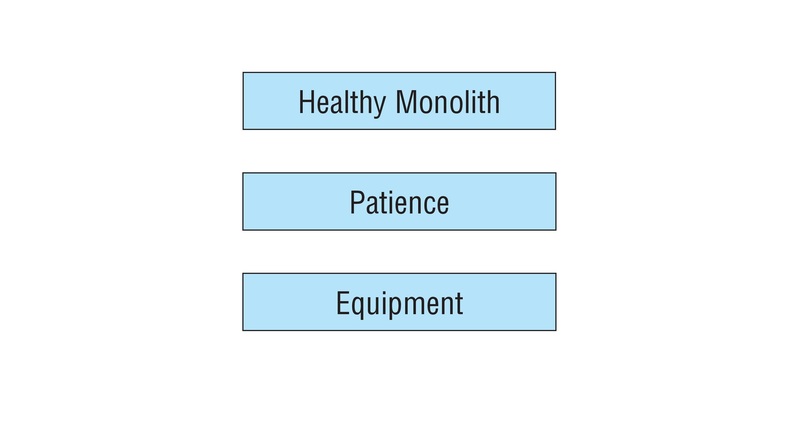 Lets prepare our monolith. As we told before, it’s a MicroSD card which we are going to solder to special Circuit PCB for convenient working process. 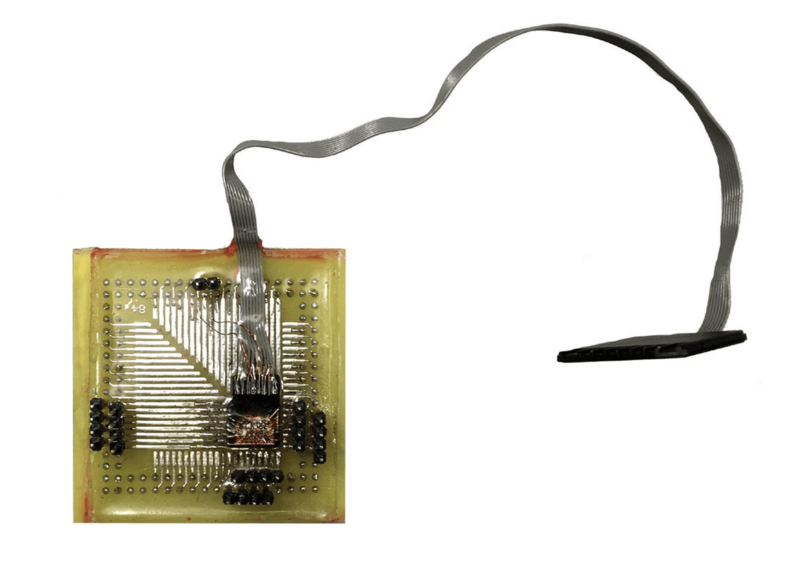 We should solder wires to all targeting pins (excluding VCC and GND). 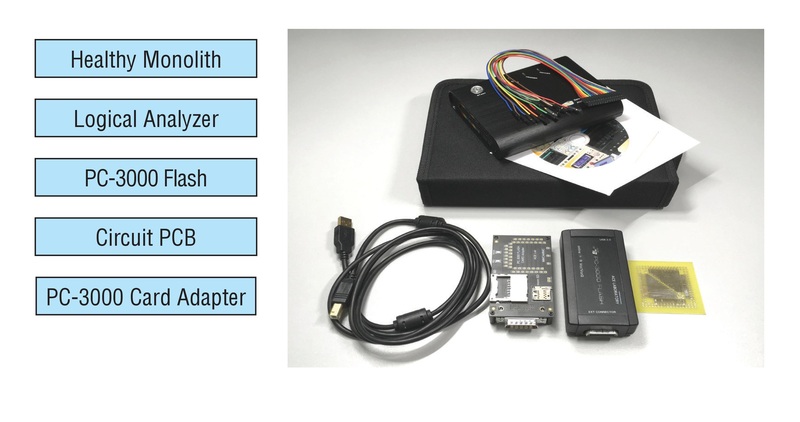 The main idea of this preparation – Monolith should be soldered through techno pins + should be connected with SD or microSD interface. 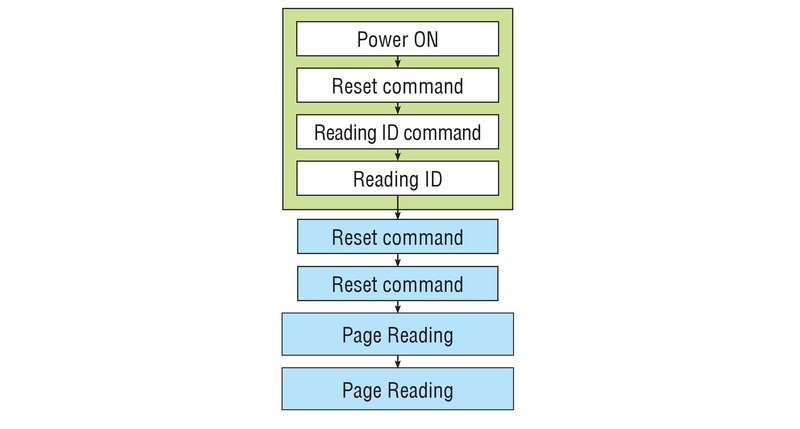 In our example we put microSD to SD adapter for making reading and writing operations on it. 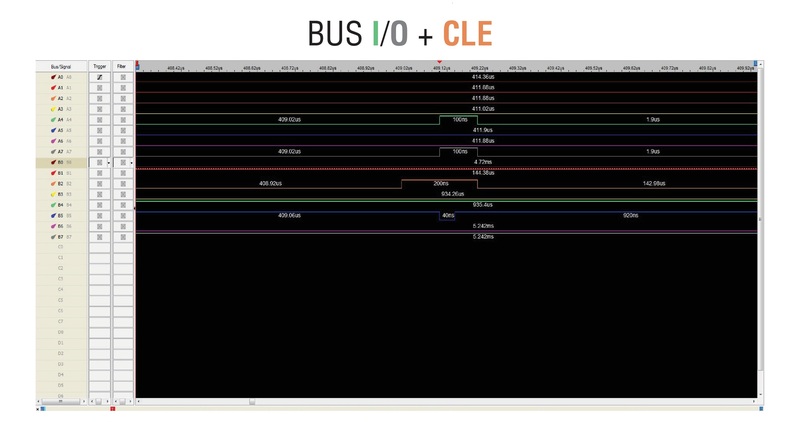 With the help of documentation, we can try to detect how our lines will be changed after power supply. 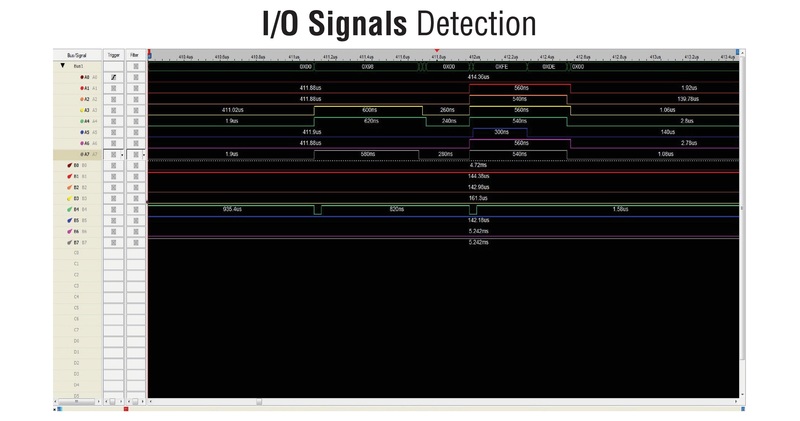 We can compare signals from Logical Analyser with our documentation schemes, and finally – find their values. Also, please note that PC-based Logical Analysers (further – LA) doesn’t have enough RAM for showing you changes by all lines in real time. 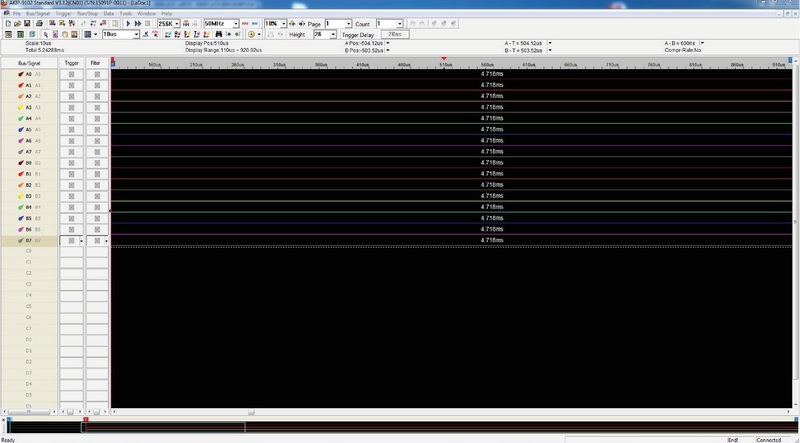 That’s why during first 5-10 seconds after power supply, LA make a snapshot (it situated below in the screen) that will allow us to move along it, change the scale and see how lines are changing. 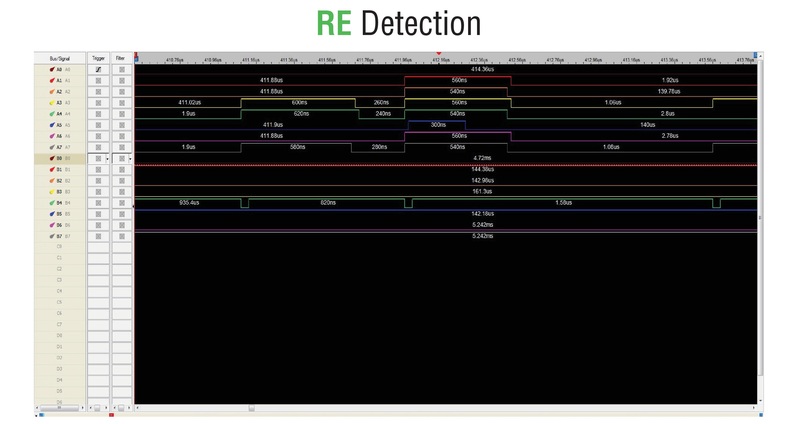 Using documentation for NAND signals we know that the first 4 contacts which makes a small jump after Power Supply – CE, RE, R/B, WE. Right now we don’t know where are exactly each of them, but at least we know that those 4 lines – are our the targets. Now, all command lines are found. Next step would be – searching for the Bus Lines. 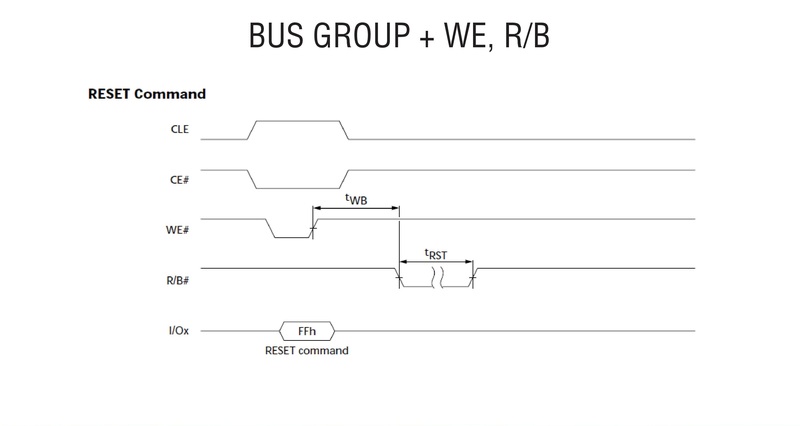 Bus line detection would be the most complicated step, because for most cases we have to write bytes on monolith and read them to detect which lines are changing. But in our example we will describe another way which is not required any writing operations. Of course in our example we put all BUS lines together, one by one. In real case they would be mixed. 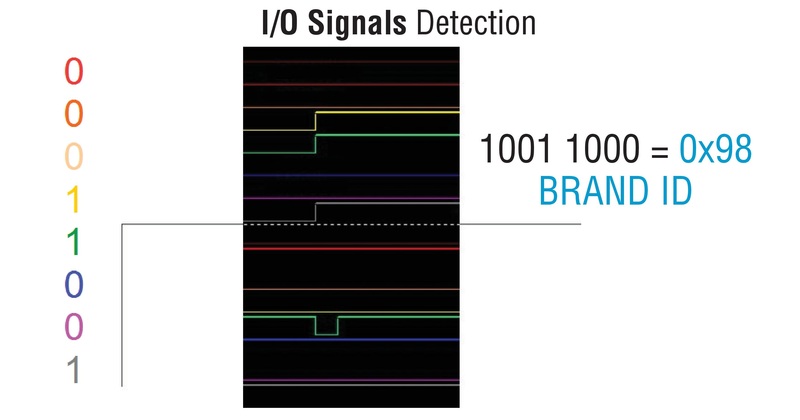 But this information will help you to detect how to find group of lines and how to detect all I/O lines. P.S. Variant 2 you can see here. 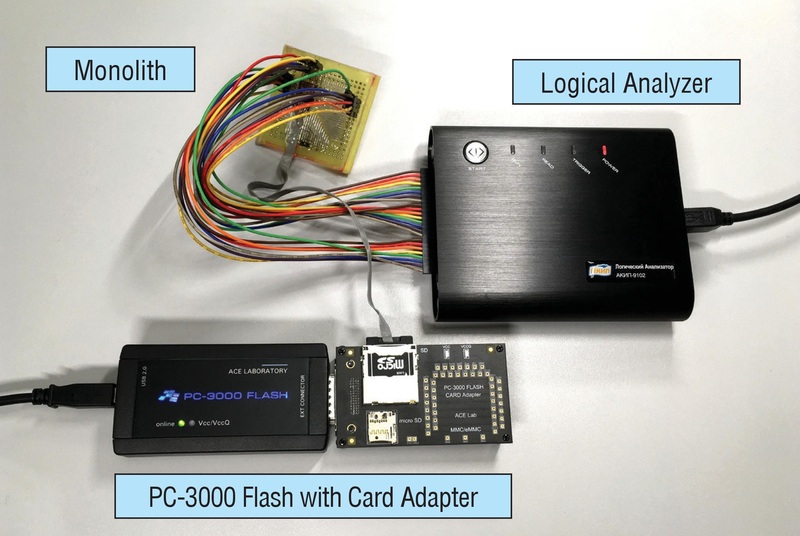 This entry was posted in Articles, PC-3000 Flash and tagged microSD, microSD recovery, monolith, Pin Map, Pinout, pinout research, Soldering. Bookmark the permalink.